It is often abundant in suburban areas of mixed agricultural use. This species ranges from extreme northern Canada, throughout the United States and south to the extreme southern tip of Mexico. Traditionally, these bats have formed maternity colonies beneath loose bark and in small cavities of pine, oak, beech, bald cypress and other trees. Common maternity roosts today can be found in buildings, barns, bridges, and even bat houses. Small beetles are their most frequent prey, yet big brown bats will consume prodigious quantities of a wide variety of night-flying insects. 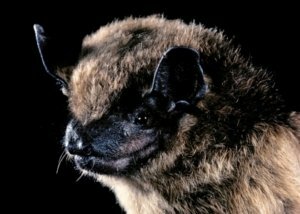 As big brown bats are forced out of traditional forest habitats due to encroaching human populations, logging, and habitat modification, they will move into increasingly close human contact, taking up residence in buildings and other man-made structures. But, humans and bats can coexist peacefully. Sometimes designing bat-specific artificial roosts are the best options to keep bats out of our homes, yet near enough so that we can continue to benefit from their insect-eating capabilities. 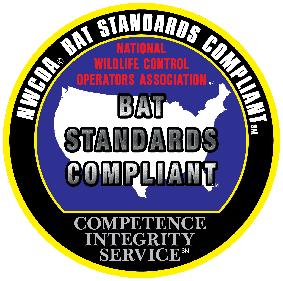 Though many species, like the big brown, still rank among our most abundant and widespread bats, they nevertheless deserve attention from conservation and education initiatives for healthy environments.